Rebirth Brass Band: New Orleans Grammy-winners who uphold the tradition of brass bands while bringing in funk and hip-hop rhythms. Red Baraat: Eight-piece pioneering band from Brooklyn that merges North Indian bhangra rhythms with elements of jazz, go-go, brass funk and hip-hop. Ghost Train Orchestra: Founded by composer/arranger Brian Carpenter, a critically-acclaimed ensemble whose bold, energetic performances reimagine jazz from the 20s and 30s. The Corey Wallace DUBtet: A five-piece band led by Baltimore trombonist Corey Wallace, who’s been called one of the area’s “best and most consistently exploratory” musicians by the Ode Street Tribune. But there's more. According to an anonymous, unconfirmed report, Jerry Garcia and John Coltrane will make guest-star appearances at the Rosslyn Jazz Festival in honor of the 30th anniversary of Dark Star Park. That's plausible. 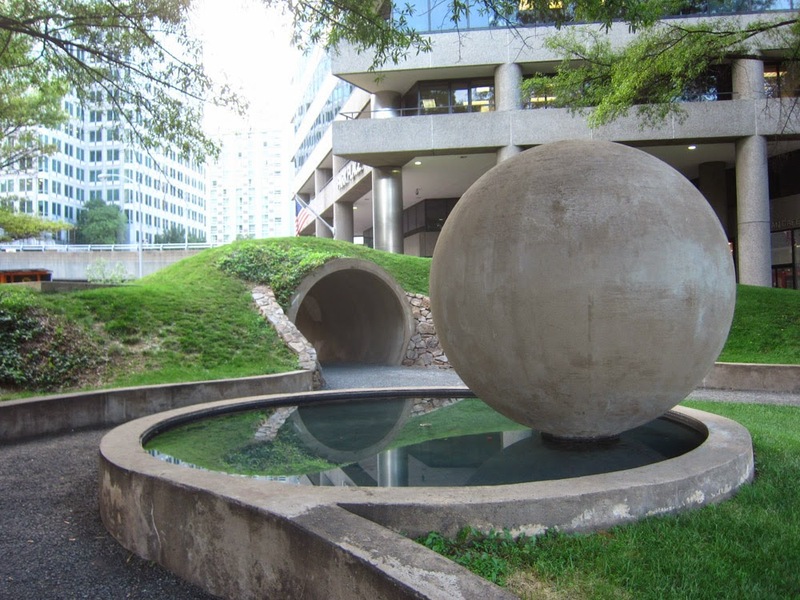 John Coltrane is thought to live under the Rosslyn metro escalator. Jerry Garcia is thought to have been seen in a haze enjoying herbs while sitting within the cosmic serenity of Dark Star Park. If Coltrane and Jerry are Rosslyn regulars, why wouldn't they perform at the Rosslyn Jazz Festival?